Going Forward with FRENZ School Inc.
​So what happens after la Petite Ecole? 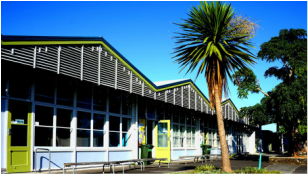 FRENZ School Inc. also actively promotes two bilingual French-English primary school units in Auckland, l'Archipel in Richmond Road School, Grey Lynn and l'Etoile du Nord in Birkdale North School, Birkdale (Auckland's North Shore). FRENZ School Inc. also manages the French ressources for these units. Both school are proud to belong to the LabelFrancEducation network, a testimony to the quality of their bilingual education program. ​The LabelFrancEducation program is a seal granted by the French Ministry of Foreign Affairs to schools promoting French language and culture as part of their specific curriculum, recognising public or private schools that offer students enhanced instruction in the French language while also teaching other subjects in French.